The dry sclerotium of Omphalia lapidescens Schroet. of family Polyporaceae. Sichuan, Guizhou and Yunnan provinces in China. Slightly bitter without unpleasant smell. 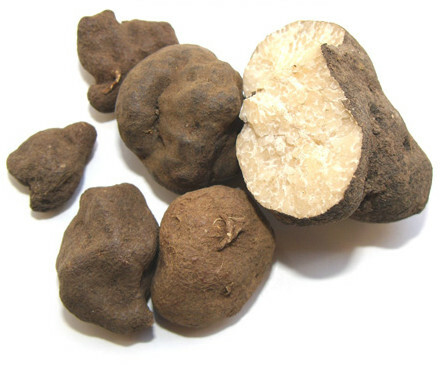 Large, full, firm, heavy, purplish brown exterior and white interior without sand. Washed and dried in the sun; unprocessed. 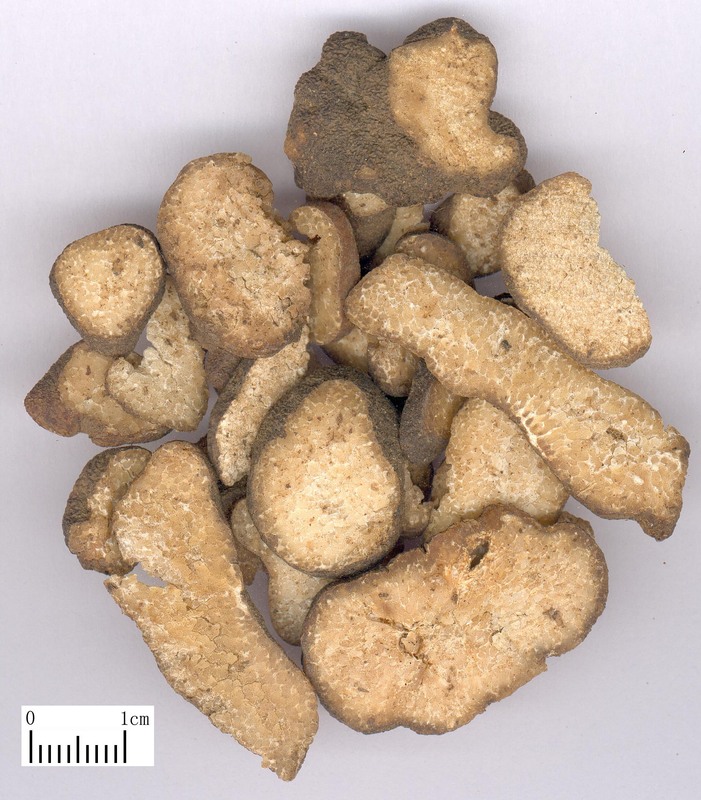 Slightly bitter, cold, mildly toxic; stomach and large intestine meridians entered. It can expel various intestinal parasites such as taeniasis, ancylostomiasis, ascariaisis and so on, especially taeniasis. It is ground into powder and swallowed for treating taeniasis, 20g once and 3 times daily. Tapeworm bodies are completely or partially expelled in most cases in 2~3 days. For ancylostomiasis and ascariasis, it is reinforced by parasites-expelling herbs. For instance it is combined with Bing Lang, Qian Niu Zi and Ku Lian Pi in Zhui Chong Wan from Zheng Zhi Zhun Sheng. For enterobiasis, it is also combined with other parasites-expelling herbs and purgatives such as Qian Niu Zi and Da Huang. Take 15~21g in pills or powder, 5~7 g once. Take with warm water after meal, 3 times daily for consecutive 3 days. Do not decoct this herb because it contains protease that will be easily broken at 60℃. Take with cautions if the patients suffer deficiency-cold of spleen and stomach with helminthic accumulation.